Libby Is iTunes’ Featured App of the Day! 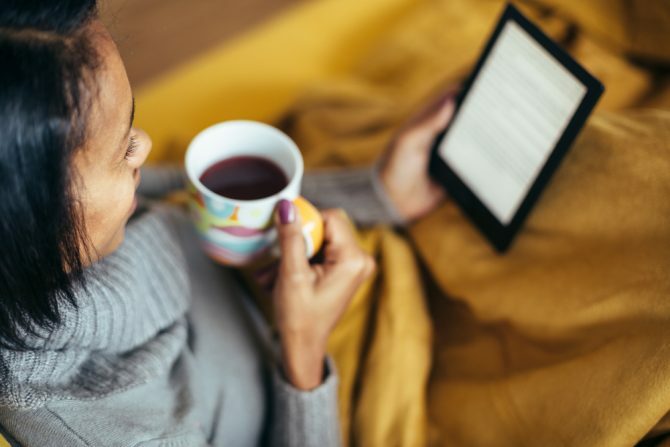 With nothing but a library card and your mobile device, you have access to tens of thousands of ebooks and audiobooks--all free and with no late fees. All you have to do is download Libby. 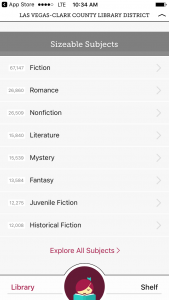 The app is the gateway to your local library's vast digital collection. Using it couldn't be easier. 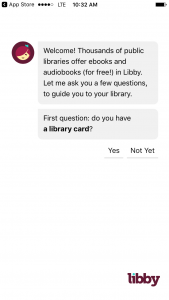 Upon launching the app for the first time, you're greeted by a simple chat-like interface that walks you through the process of logging in with your library card. The process feels like talking with a friendly librarian. Don't have a library card yet? Sign up for one here. Libby replaces the Overdrive app that many libraries were using and offers a number of upgrades: an in-app audiobook reader, integrated dictionary, and a more intuitive design. The app keeps its interface simple, so anyone can use it. Just as your local librarians curate the selection of physical books in your library, they also select the content available through Libby, taking into account the community's needs and tastes. You can browse the catalog, view themed collections, and check out e-books for immediate reading. Just as with paper books, each library has limited copies of each digital title. If the one you want is already checked out, place a hold; the book will automatically be checked out and delivered to your device when available. Best of all, when your loan is due, it automatically, gets "returned"--which means you and your family will never incur a late fee. Libby: So much simpler than memorizing the Dewey Decimal System. In the information age, libraries very much need your support. Licensig all that digital content costs money and time. And remember, libraries don't just offer free books. In many communities, they provide employment workshops, computer certification classes, and free access to a computer and the Internet. So if you haven't been to your local library for awhile, start by connecting through Libby. The world of reading will truly be at your fingertips. This story originally appeared on the iTunes App Store.